HOW WE TAKE CARE OF TERMITES. You wouldn’t go on vacation and leave your house unlocked – why leave it vulnerable to the risk of termite damage? A Clark’s termite protection plan is your best defense against the hidden hazards of termites. As they say, an ounce of prevention is worth a pound of cure. Pre-construction termite treatment lays a solid foundation of protection against termite infestation down the road. We guarantee it. It’s never too late to protect your valuable property. 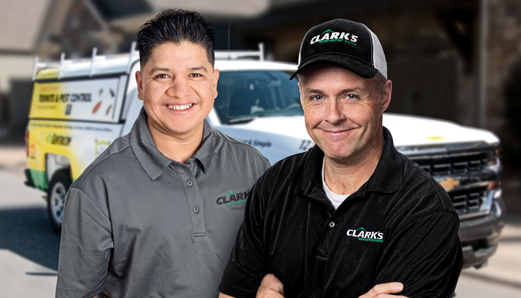 Your Clark’s technician will inspect your home or building and recommend the treatment plan guaranteed to keep termites away. At Clark’s, we employ several different treatment options to make sure your home is treated in the most effective way possible. We offer liquid soil treatments and termite baiting systems from the industry’s proven manufacturers. We will not use generics or one-offs because of the resource value provided by the original manufacturers. While both of our qualified treatment options provide protection against termites and include the same warranty, we recommend treating “The Clark’s Way” which includes a combination of the two types of treatments to provide several layers of protection. A Clark’s representative will tailor a treatment program for your specific needs. Clark’s uses the Sentricon® System with Always Active™ technology – it’s the best Sentricon® product available. 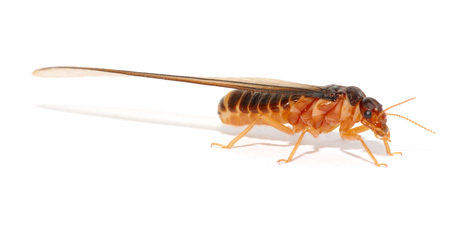 Termites are afraid of the Sentricon® System. These smart little threats outlasted the dinosaurs. But the Sentricon® System is smarter. You’re smarter because you understand how important it is to use the number one brand in termite protection. Your Certified Sentricon® Specialist will maintain your home protection conveniently and professionally. We’re happy to answer your questions and offer recommendations on how you can protect your home – even if you’re remodeling. Contact Clark’s Termite and Pest Control today to learn how you can get Sentricon® System today. Because you may never see termites until damage has been done, it is important to have a regular professional termite inspection just like a regular doctor’s check-up. Because of the high termite pressure for the whole state of South Carolina, an annual inspection is best. Clark’s specialists will inspect your entire home for termite activity and conditions that may attract termites. Termites feed on dead plants and trees and dead parts of living trees in wood and soil. They can tear large pieces of food and wreak havoc on property such as house foundations, furniture, shelves, books, carpets and insulation. 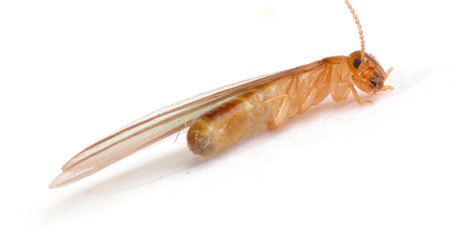 When a colony matures, swarming winged termites can be seen around windows and doors. After mating, they find a new breeding site and create another colony, spreading infestation through multiple locations. Termites are a major concern for homeowners in the Southeast and especially in South Carolina. Wood structures are at high risk, but don’t think they’re the only ones. Termites are capable of navigating through plaster, metal siding and other materials to feed on cabinets, floors, ceilings and wooden furniture inside your home. Recognizing the signs of termite infestation could save you thousands of dollars in repairs. Termites can feast on your home for quite a while before you see any visible damage. Find out what to look for. 1 MUD TUBES on foundation walls, exterior walls, wood beams or in crawlspaces. 2 CRACKED or bubbling paint. 3 WOOD that sounds hollow when tapped. 4 A TEMPORARY SWARM of winged insects in your home or from the soil around your home. 5 DISCARDED WINGS from swarmers. The Eastern and Southeastern Subterranean termites are the most common and destructive termite species in South Carolina. While they serve an important function in the environment by recycling trees & other wood products and returning nutrients to the soil, the problem is your home is constructed of termites’ favorite food: dead trees and other wood byproducts. Fortunately these pests cannot survive crawling across the ground like an ant because their bodies will dry out. Subterranean termites live in underground colonies or moist areas above ground and must have contact with the soil to survive. They build shelter tubes for protection and to maintain their moist environment. The key to preventing an infestation of these termites is to find their shelter tubes as part of a regular inspection program. 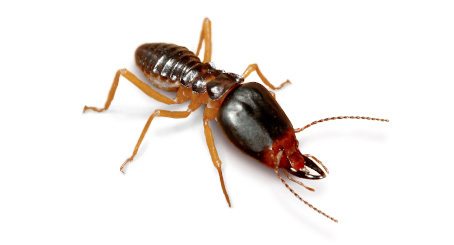 The Formosan termite is an imported species typically found in South Carolina coastal towns such as Fripp Island, Isle of Palms and Surfside. It earned its nickname, the “super” termite, because of the size of its colonies and the speed at which it can consume wood. Above-ground infestations of Formosans are more common than other termite species. Formosans’ colonies are also larger than our native subterranean termites, with a single colony containing several million very destructive individuals. Formosan queens have a life span of 15 years and are capable of producing up to 2,000 eggs per day. These hardy creatures feed mostly on wood and other cellulose-containing items, often infesting boats, high-rise condominiums and any other structure that contains wood. Mature Formosan colonies can consume up to 13 ounces of wood per day, compared to four ounces per day for subterranean species. Believe it or not, they’ve also been known to chew plaster, asphalt, vinyl, linoleum and underground cables. Formosan termite coverage can be added to any Clark’s termite protection plan. There are three different major types of drywood termite, but they are not typically a common threat to homes. Drywood termites are usually brought into the home on furniture and other wood products. While drywood termites will occasionally damage window sills or pieces of furniture, they do not make ground contact like subterranean termites and will not have any mud or dirt present in the damage. That is more damage each than fires, tornadoes and earthquakes combined. Making matters worse, most homeowners insurance policies do not cover termite damage. Termites are usually invisible, except for the sudden appearance of large termite swarms as the weather warms. The appearance of a swarm indoors is often one of the first signs of an infestation for a homeowner. Don’t wait for the damage to be done. Take the steps below to protect your home. Minimize or eliminate the use of wood mulch. Keep crawlspaces and basements clear of wood debris, newspapers and excess moisture. Keep wooden fences, planter boxes and other wood items at least 2 feet from your foundation. Install shrubs, mulch and other landscaping at least 2 feet from the foundation of your home. Fix plumbing leaks anywhere in the house, as they can cause moisture to accumulate. Place sprinkler heads away from your foundation and make sure that they don’t wet the walls. Make sure all air-conditioner/heater/dryer condensation and sump pump discharges are well away from your home's foundation. Never bury wood scraps in backfill during construction. Keep firewood, lumber and wood scraps elevated off the ground and stored away from your home. Always use treated lumber in the contruction of decking or other exterior home features.